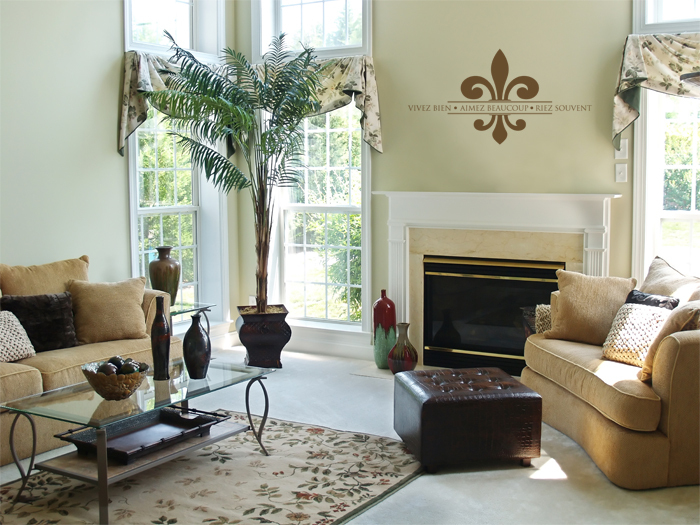 French for “Live Well, Laugh Often, Love Much,” this design is cheerful and beautiful. Comes in one piece for easy application. Choose from dozens of colors! Laughter is good medicine! Throw in love and a Godly lifestyle and you have a recipe for a healthy individual. It doesn’t take much to be fit! ‘Vivez Bien Aimez Beaucoup Riez Souvent’ wall words are available from WiseDecor. They are French for ‘Live Well, Laugh Often, Love Much’. So where does one apply such inspiring wall quotes? For starters, these are suitable for all the walls in your rooms, so any space will be ideal. They look great between sconces, ventilation hoods, above headboards, next to windows and lamp shades and a host of other spaces! 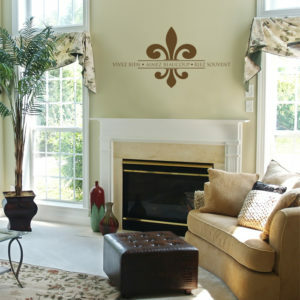 Family and friends will enjoy this unique wall lettering that is subtly pointing out amazing stuff! Our wall letters are easy to apply: you need no formal training! It takes a few minutes to put them up. All you have to do is peel the back sheet and paste on to the wall: its that simple! Do you live overseas? We ship worldwide: you too can enjoy our wall words! Our designers are experienced at what they do and will deliver quality products. Do you speak French or any other foreign language? Are you looking for unique wall decor in a different language apart from English? Look no more! 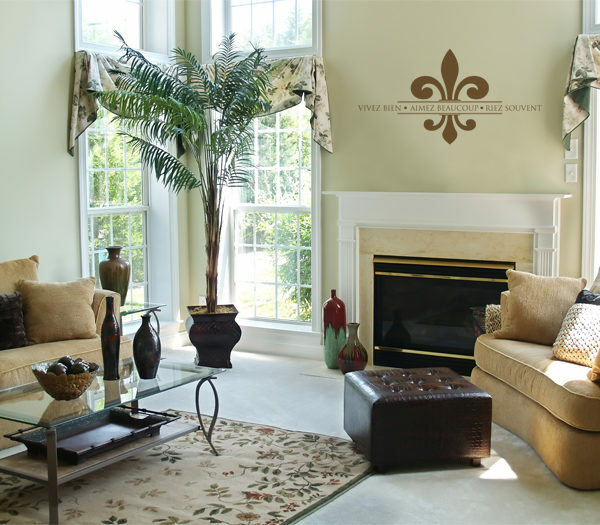 At WiseDecor we have wall quotes that are available in quite a number of foreign languages. They will look great in your home. Get in touch!